Cedrex AS CMTL-96 Mk III BioLabel Microtube Labeler Laboratory . New Life Scientific, Inc. The Cedrex AS CMTL-96 Mk III is in great cosmetic condition, except a small crack in cover as shown, which does not prohibit the use of the cover at all. The New Life Scientific technicians were able to initialize the machine but not run any testing due to no software. Our in-house technicians did a visual inspection on the Cedrex AS CMTL-96 Mk III and found it to be in great cosmetic condition with some minor wear. The back corner of the cover has a crack in it, but nothing to prohibit the use of the cover. Also, there is minor corner scuffing on the back of the machine due to it being against a wall. 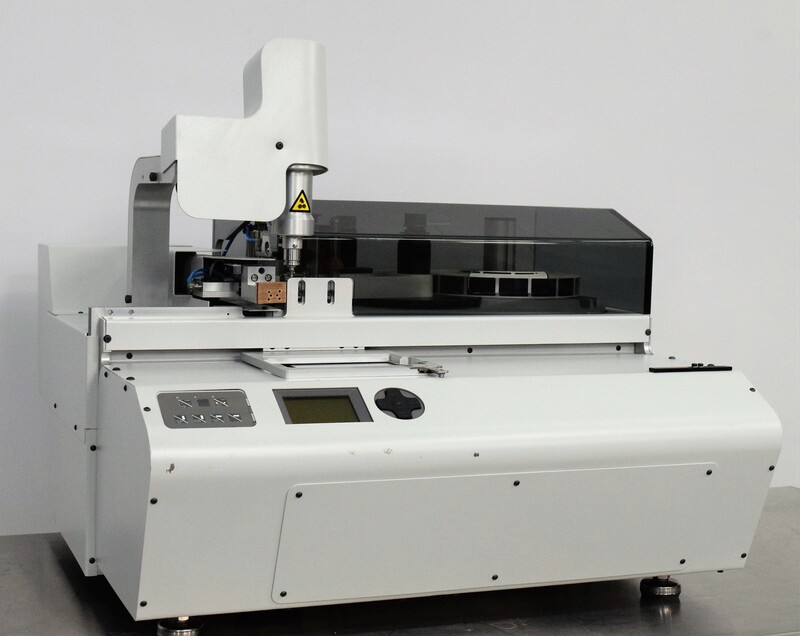 The New Life Scientific technicians were able to initialize the machine and the menu to manually test the printing mechanism, but without the software they could not do a run cycle to test any further. This looks to be an exceptionally clean machine.